Not sure which RNA sequencing approach is right for you? Our Project Scientist team is happy to walk through the different options for your experiment. We take into consideration sample quality, quantity, and experimental goals to select the approach that will help address your needs. Concerned about performing RNA extraction? Don’t have the time or bandwith to optimize extraction conditions? Contact your Project Scientist and ask them to add RNA extractions to your project. fastest turnaround times. From total RNA QC to data delivery – you’ll see results in three weeks with all of the offerings listed below. Scroll down for more information on each protocol. Samples must meet minimum quality and quantity requirements. Total RNAable includes samples from human, mouse, and rat only. Please contact us to discuss other sample types for this Catalog Number. Maximum sample number of 24 for 3 week turnaround; Minimum sample number of 10 for price listed. All offerings above include single-end 75 bp sequencing and full comparative expression analysis, unless otherwise noted. All products listed above are for research use only. *RNAdvantage requires 4 week turnaround due to additional analysis time required. Don’t see the experimental design you need? We’re happy to discuss customized experimental design solutions with you. Need RNA extraction added to your Project? Let us know! Looking for our immune profiling assay? Visit the Cofactor ImmunoPrism page. Can you confidently extract 1 μg of RNA with a RIN score of 7 or greater? Then our standard RNA-seq approach is the right choice for you. All projects include Cofactor’s molecular quality control checkpoints at each stage in the molecular workflow, and full comparative expression analysis delivered via the ActiveSite interface. often yield very minimal, yet high-quality RNA (< 250 ng). Cofactor has developed a robust amplification protocol, coined picoRNA, to allow unbiased interpretation of transcriptome data from as low as 10-20 cells (100 pg of RNA). With this approach you can avoid pooling biological replicates, interrogate previously inaccessible low-input samples, and trust the picoRNA results from your samples. 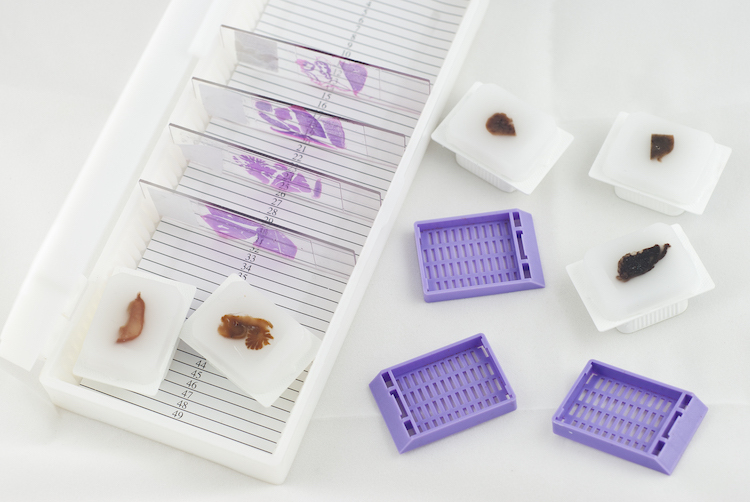 With the vast majority of patient samples and clinical archives stored as formalin-fixed and paraffin embedded (FFPE) tissue blocks, a reliable solution for chemically-modified and fragmented RNA from FFPE is required. For samples with >250 ng of RNA, our FFPExact pipeline first evaluates RNA fragmentation via DV200 analysis, then applies standardized library prepara­tion protocols to guarantee reproducible, interpreta­ble results from these valuable samples. Think your FFPE samples won’t yield >250 ng of total RNA? Afraid your low-input samples may be fragmented or degraded? Request our RNAccess protocol. Standard RNA-seq experiments use size selection steps which do not retain small RNA molecules. In order to ensure this information is accessed, fragment size monitoring and size selection is required. Cofactor’s small RNA characterization is optimized for total RNA samples*, which streamlines sample delivery for you. *Note: Total RNA must be extracted using an approach that retains small RNA. Please contact us to discuss appropriate extraction methods. Cofactor is pleased to offer RNAccess, an approach focused on the coding-regions of the human transcriptome. Developed to accommodate samples with both lower-input and lower-quality, this protocol is ideal for FFPE archived samples from biobanks or retrospective studies. Akin to a whole exome sequencing approach, this protocol pairs well with WES data for characterizing the most important regions of the transcriptome. This protocol is suitable for human samples only. Ideal for FFPE clinical archives and other low quality samples. 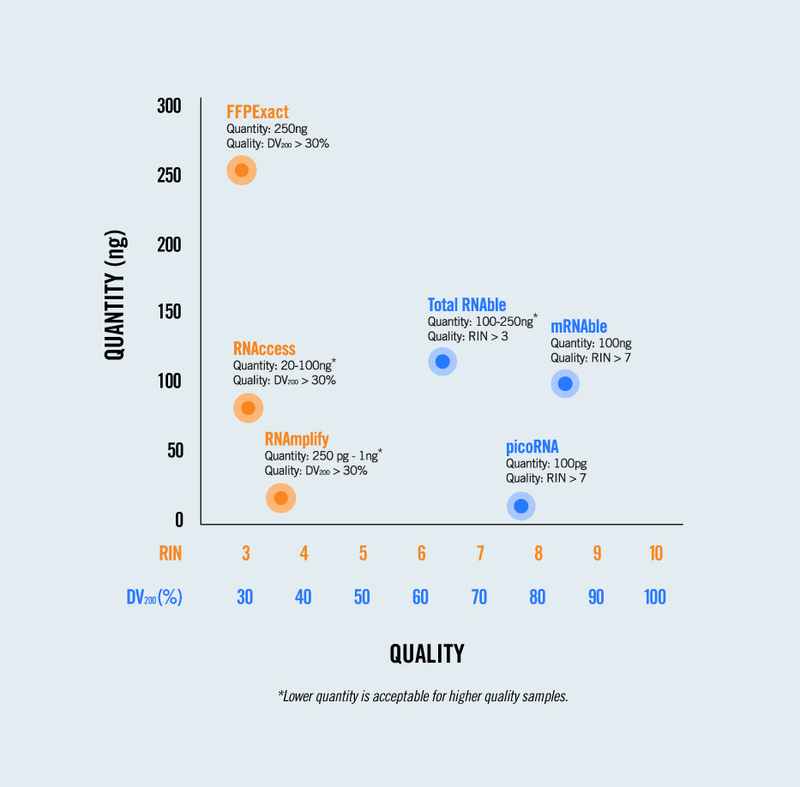 Developed for the most challenging human samples, especially where other approaches have failed, Cofactor’s RNAmplify accepts low ng qauntities of RNA for ribosomal reduction. This whole-transcriptome approach provides total RNA content for comparative expression. Don’t compromise your results by having to interrogate fusions and expression separately. With Cofactor’s RNAdvantage, you’ll gain significant insights using a single RNA sample. This protocol is suitable for human samples only. Does your translational or clinical project require higher regulatory oversight? 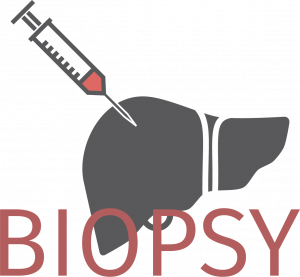 Then our clinical assay offerings are right for you. Survey the entire transcriptome to provide a broad look at a patient’s disease state. Quantitatively measure 8 key immune cells in solid tumor samples from as little as two FFPE sections. Learn more about our other offerings.